There may be a lot you hear about KSA that perhaps paints a different picture, but when you actually get there you find things a lot brighter than the notions put into your brain. Saudi Arabia is a country where you can be blown away by the life it offers – it's not the typical regulated lifestyle that you may have feared. A streak of light broke through earlier in 2018 when Saudi Arabia's new Crown Prince Mohammad bin Salman made it legal for women to drive in the Kingdom. Media outlets and news sites heralded this as a landmark in the country’s march towards the future. Saudi women rejoiced, and it painted a picture of women moving about freely and being reasonably independent. It is a small step in the right direction, but it isn't the only step made. There were other headlines in 2018 too, such as the Saudi Arabian Motorsport Federation getting its first female member and the Kingdom hosting its first ever fashion week. The Arab Fashion Week featured many exciting designs from reputable designers of the world including Roberto Cavalli and Jean Paul Gaultier. Attendees flew in from all over the world. There were 16 shows scheduled and, though the audience was restricted to women with social media sharing of the event not allowed, this was an indication of the change sweeping the country. Women are now able to realize their talents and passions. Cinemas were opened too for the first time since the 1980s. Munching on popcorn, the audience - including men and women - enjoyed the opening screening of Black Panther. There are plans to build more movie theatres in the big cities of Saudi Arabia. The country also plans to build an opera house so that the conservative image of the Kingdom can be shed for good. Women have also started attending soccer matches. The match in Jidda between the local teams Al-Batin and Al-Ahli witnessed the sounds of women fans cheering for the first time. Gender restrictions are loosening, and the government also wishes to satiate the desires of the Kingdom’s young population. This is part of the Crown Prince Mohammad bin Salman's Vision 2030 where restrictions are lifted to give rise to create new job openings, boost investment and make the Kingdom a more welcoming place for the 21st century visitor. There is so much to do in Saudi Arabia, so much to enjoy and so many memories to take home. 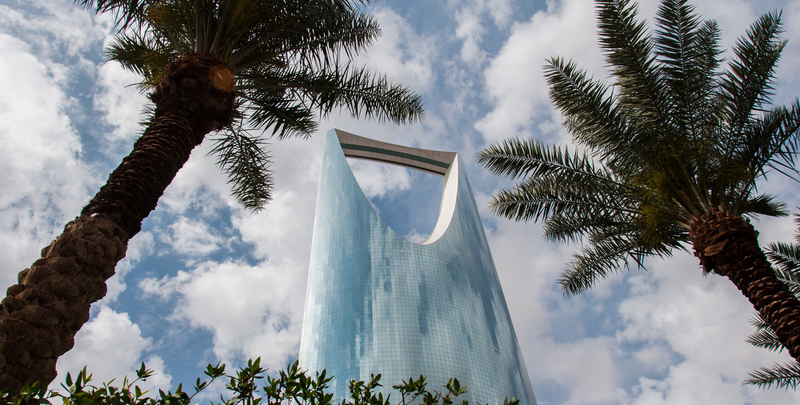 Whether it’s shopping, an exquisite culinary experience at the Ritz Carlton, fun sporting events or artistic attractions, there is something in modern Saudi Arabia for everyone. And you wouldn't say that a few years back!